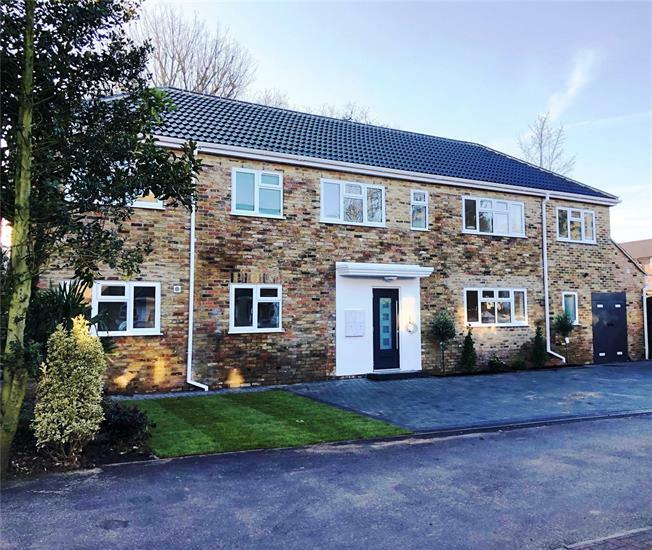 2 Bedroom Flat For Sale in Bushey for Asking Price £475,000. This 2 Bedroom First Floor Apartment has been designed to include a high specification and benefits from a fitted Kitchen, fully tiled Bathroom, flooring throughout, gas central heating, allocated off-street parking. Introducing "Evergreen", an exclusive development of only four luxury 2 bedroom apartments. Located in the desirable Bushey Heath, the development is well positioned for access to numerous leisure facilities and open spaces, a range of restaurants and eateries along with independent shops and boutiques all within easy proximity. The town centre of Watford, which is situated close by, offers further entertainment and retail shopping. - Fitted Kitchen with Silestone worktops and upstands. Siemens integrated single oven, 4 zone hob, microwave/oven and Capel cooker hood. Neff integrated larder fridge/freezer, Capel washer/dryer, Neff dishwasher. Stainless steel sink with chrome mixer tap. Porcelain floor tiles. - Bathroom to include contemporary white sanitaryware with chrome fixtures. Porcelain wall and floor tiles. - Downlighters to Hallway, Kitchen, Living area and Bathroom. - Laminate flooring to Hallway & Living area. - Communal SkyQ HD satellite dish. and Country Clubs. Bushey Heath’s location results in easy access to a range of excellent schools including Purcell School for gifted young musicians, Harrow School, Merchant Taylor’s and North London Collegiate. Aldenham Country Park is also located within a ten minute drive and boasts 100 acres of parkland and a 60-acre lake. addition nearby Stanmore Underground Station (Jubilee Line) provides excellent commuter links to London. By road, Bushey is conveniently located for easy access to the M25 and the M1. With a number of bus stops in the High Road running regular services to Watford, Brent Cross and Harrow. The area also benefits from a wealth of shops including the Intu Shopping Centre in Watford (120+ Stores) and a number of retail parks with established brands including Sainsburys, Tesco, Next, Argos and many more.